As I said in a post the other day I’m really not organised at all for this baby to come, I haven’t even thought about my hospital bag. In fact writing the post made me realise how laid back about it all I am being this time. Also it was nice to see from comments that I’m not the only one that is laid back to second time around. I think I’m starting to struggle with not being organised as I’m normally ultra organised. 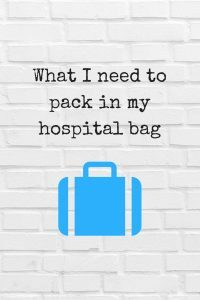 So I thought it was about time I made a list of things I needed to get for my hospital bag. Even though it wasn’t that long ago that I was in hospital having Ava. I really cannot remember what it is I actually need to pack or buy. So I thought I would put it to my fellow parent bloggers. I asked them what are their must have items in a hospital bag and this was their responses. Gemma from Somewhere After The Rainbow very rightly suggested The biggest fattest maternity pads you can find none of this thin towel malarkey. You want the ones that resemble bricks. Now something which I have never thought about is disposable pants but Charlotte from The mummy toolbox said I had my daughter 9 weeks ago and its all about the disposable pants ! I got some awesome ones from Amazon, they are comfortable,cheap and they can go straight in the bin. keeping along the same kind of lines Charlotte from Cups of charlotte suggested comfy big granny pants and loose-fitting clothes. You never know if you are going to end up having a c section and the last thing you want is tight clothing. This is such a good point as my section with Ava wasn’t planned at all and the leggings I had packed weren’t the most comfortable of bottoms to wear. Just incase I do end up having a C-section again I think I need to get some night dresses like Emma from Emma Reed says Large night dresses that have buttons at the top of possible for breast-feeding. Mine were a great buy from Primark and because I had a C-section I didn’t want to wear pyjamas as a band would have irritate my scar. Carla from Random thoughts of twenty something made a very good point when she said dark everything. Dark underwear, dark clothes, dark towels! Nothing worse than having to walk around with visible milk and blood stains on clothes in the first few days. 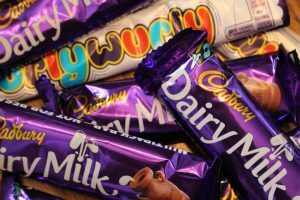 I must say I do like Sam’s thinking from Reduced grub A stonking large bar of Cadburys Dairy milk was my between contraction saviour, it gave me a tad bit of energy and it was the only time I felt there was no such thing as calories ! I remember when I went in with Ava .The ladies in the midwifery led unit gave me one of those heated bean bags to help with pain relief. Well Abi from Something about baby suggests a hot water bottle! I found this really helpful for pain relief in the early stages. Sam from Dove cottage made a really good point when she said A change of clothes for dad! Someone mentioned this to me and I’d never have thought of it otherwise, but was a genius idea. It meant he didn’t need to nip home & leave me on my own!. I think it’s really important to remember the dads. I know the first time around I didn’t really think too much about it . Sorry Jordan but now I know what pressure and exhaustion it puts on them also. On the big day memories are constantly being made and I really liked what Laura from Woman in Progress suggested I had a new shower gel – a scent I’d not had before which means every time I use it. It takes me back to those early special days. I could keep on going but it will become more like a novel than a few handy items and tips. 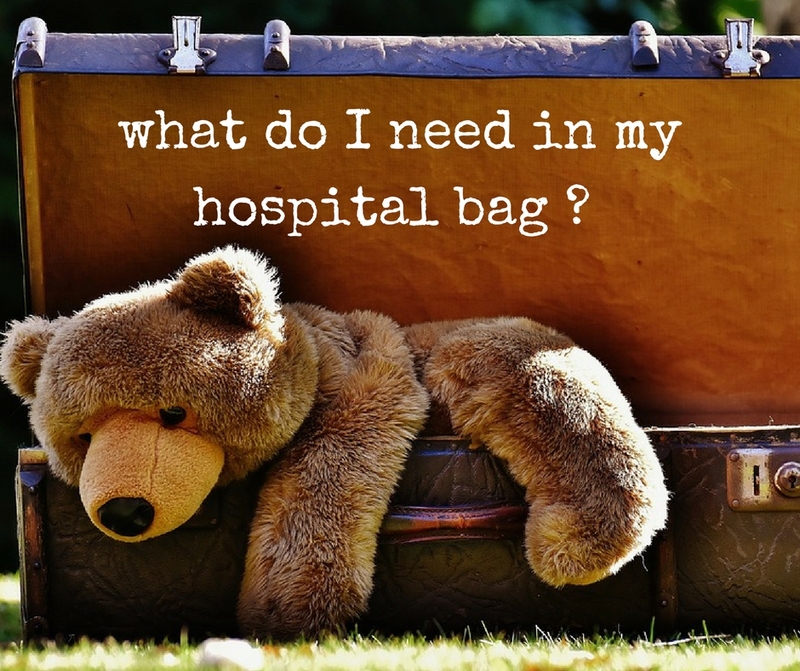 Is there anything you think I need to add to my hospital bag ? 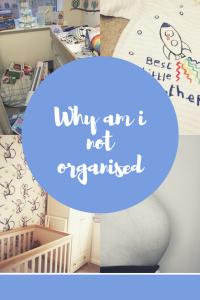 Why am i not organised the second time around ?